Sincere hospitality from the first moment, feel at home here in the Karwendel directly on the Gross Ahornboden. Nature pure! We want to be a resort, a haven from a fast-paced life. A place of meeting and friendship, a place of conviviality and joy. Here you have time to come to yourself. Time to enjoy together with a family and friends. The narrower the valley, the closer are people. And behind the door you can enjoy the wonderful nature - three guided theme hikes with an expert "Margit" guarantee you unforgettable hiking moments. Breathe in the fresh mountain air, roam through meadows and maple forests, recharge your batteries on the mountain peaks and be enchanted by the view. In the 4th generation we are honoured to continue the warm hospitality of our parents Margit and Max Kofler. Hospitality and closeness to the nature are above all in our family business. Springtime is the Eng time - 5% opening discount. 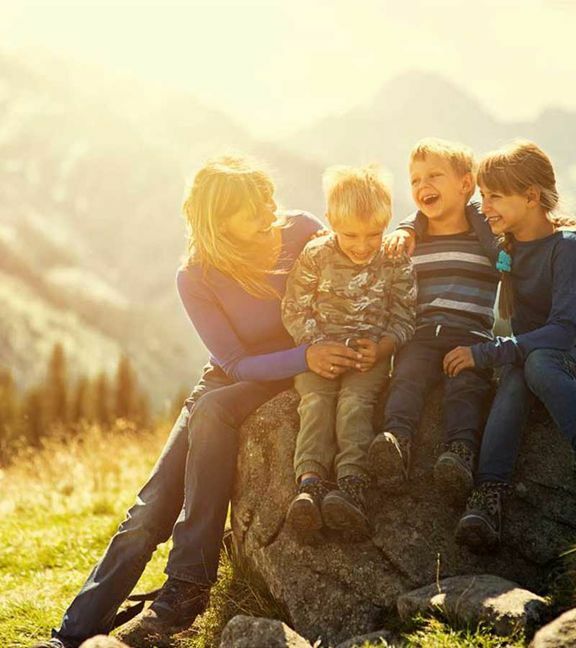 Book your hiking holiday today in the Karwendel Nature Park in Tyrol. At the opening weekend from the 3d until 5th of May 2019, we will give you a 5% discount on the room rate for 2-nights booking. In addition you will get extra schnapps „on the house“. For enjoyable moments on the Gross Ahornboden. 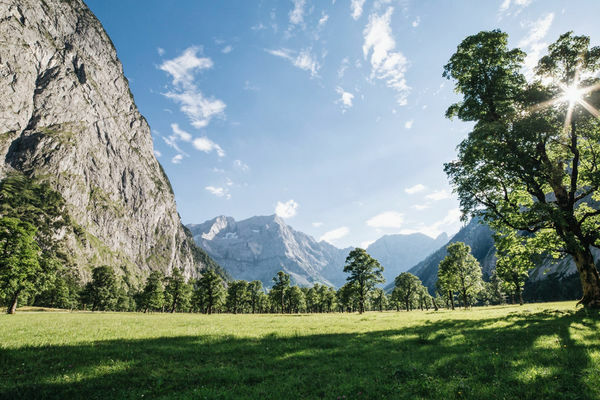 This well-known natural reserve in the heart of the Karwendel mountains in Tyrol is one of the most beautiful places in the Alps. The plateau lies at about 1,200 meters at the end of the Risstals, to which only a single road leads. The route itself is very impressive due to more than 2000 maple trees growing here, some of them for more than 600 years, forming this natural idyll. 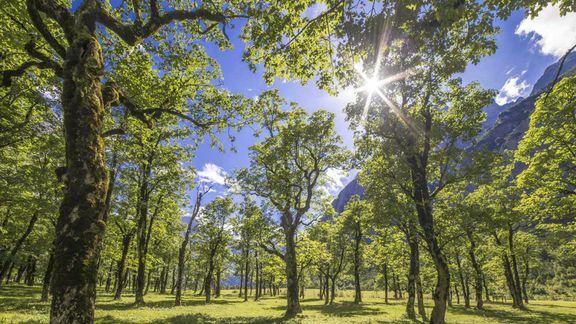 Spectacular trees are surrounded by the stunning Karwendel mountains. This contrast of green alpine meadows in combination with high sycamores and grey rocks immediately catches the eye and fascinates visitors, making them come back every year. They say that luck tingles in soles of your feet in the Eng. 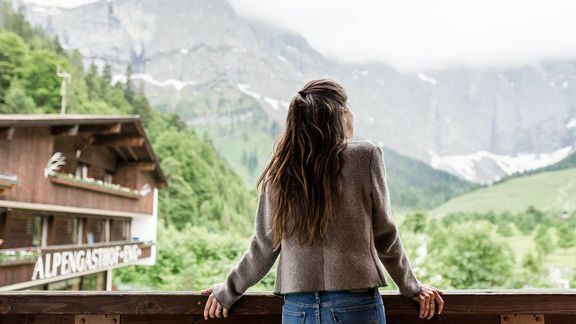 Nestled between the breath-taking cliffs of the Karwendel mountains, the area around the Gross Ahornboden is a dreamlike paradise for all nature lovers, mountain lovers and adrenaline seekers. 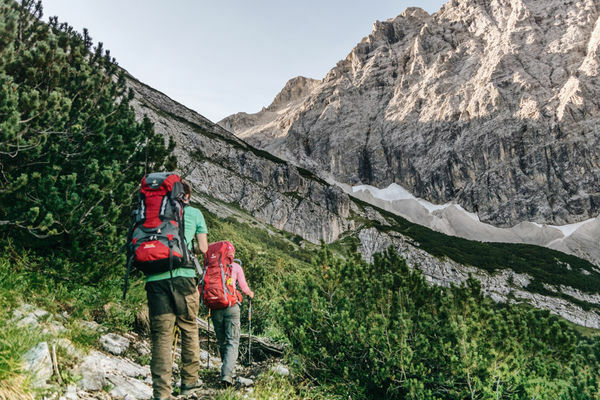 On more than 2000 km our offer ranges from relaxing walks in a valley to many hours summit hikes, challenging bike tours to fantastic climbing routes. On 3 weekdays our "experienced" mountain guide Margit goes with our guests to the mountains and brings them to the most beautiful places. If somebody knows all about the Gross Ahornboden, then it is our Margit. 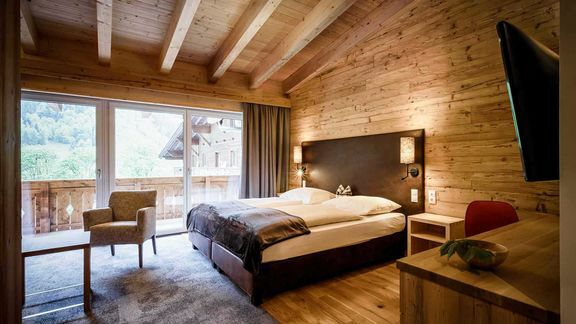 Real Tyrolean cosiness, that guests feel throughout the entire hotel. In total, there are 43 rooms and suites in 6 categories, which you can choose according to your preference and budget. 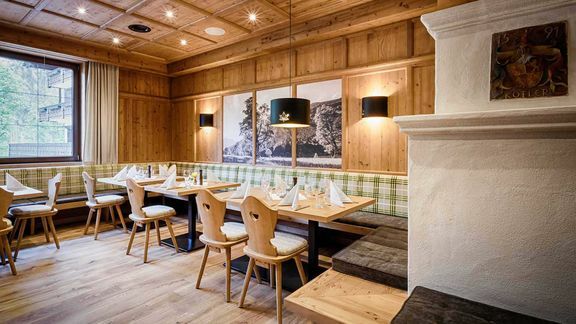 In the Ahorn rooms, we have set new accents with the renovation in 2018 and cleverly combined Tyrolean tradition with modern design elements. Less design, but more tradition and nostalgia can be enjoyed in classic double rooms, most with balconies and a spectacular view of the mountains. The rustic, quiet and with a wonderful view of the mountains "Alm-Chalet" with two suites lies only three minutes from the hotel. Guests who would like to live a bit more private will feel at home here. 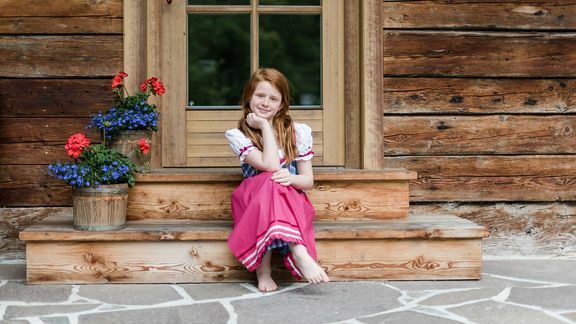 Tyrol is not just about hospitality, cosiness and tradition, but also enjoyment. Therefore, Melanie and Carina have made it to their mission to conjure up their home on the plate. 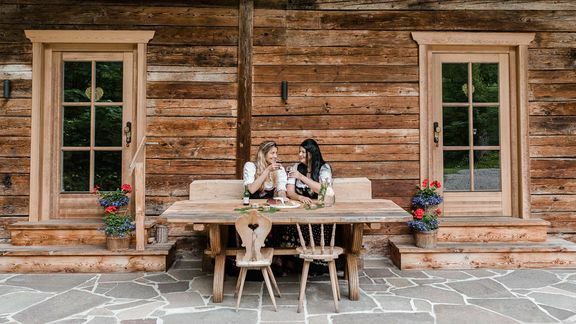 The kitchen team inspires hotel and day guests with Austrian home cooking again and again. Thereby the great value is placed on the regional products, preferably from local farmers, and seasonal cooking. 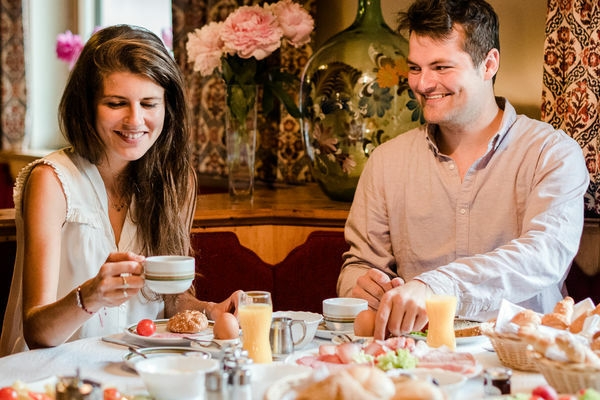 Hotel guests start the day with a hearty breakfast buffet. Also day visitors are welcome. Hot meals are served daily from 11am until 9pm. A special tip: the Kas + Speckalm, right next to the hotel. From the 2nd to the 23rd of May and from the 23rd of June to the 7th of July 2019 the 7th night goes on the house. 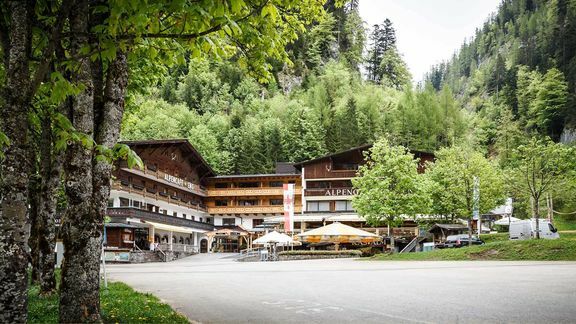 You stay one week, but pay only for 6 nights and enjoy the Gross Ahornboden in the best season. Including half-board, 4 hikes, hiking equipment and much more. 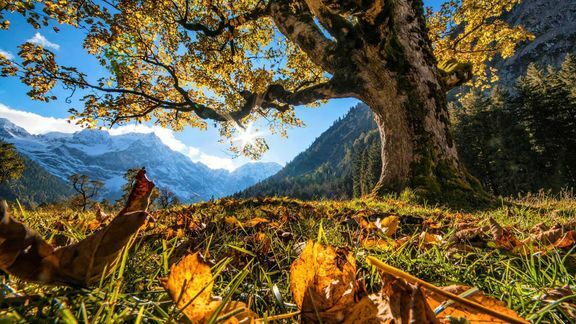 Discover the Gross Ahornboden and draw new strength from the awakening nature. 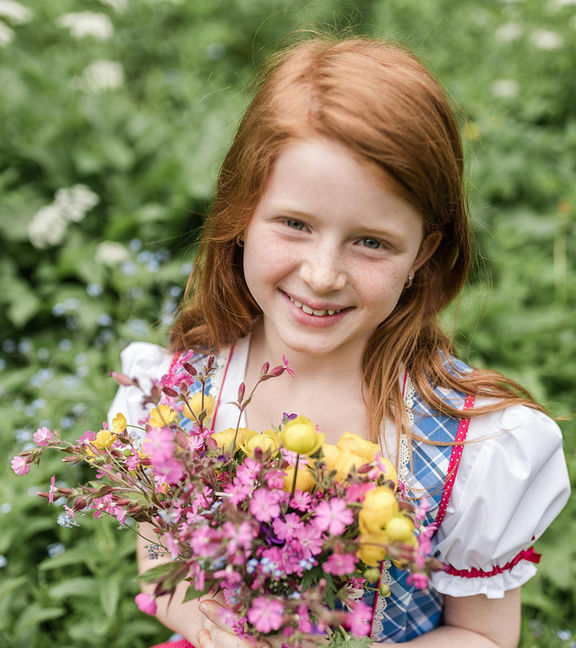 On the guided flower hike or the hike to the Laliderer Wände, it goes up to 1848m. Including pampering half board and our included services. 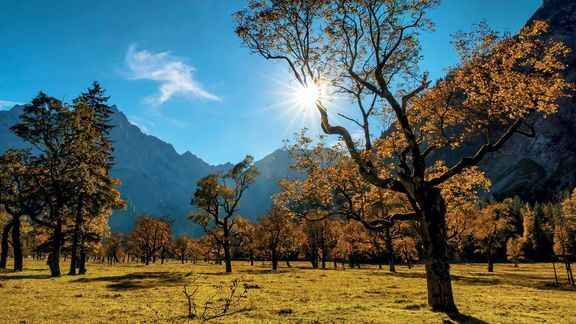 Crystal clear streams, majestic mountains, lush green meadows, the fresh air and of course the big sycamore trees. You are in the middle. Enjoy happy summer days with us. Including pampering half-board, guided hikes, a picnic basket and all included services. feel yourself again and be rewarded at the top of the summit with the most beautiful view. If you love mountains and you are fond of hiking, you should not miss this amazing sight of nature: when the sun-lit mountain peaks turn pink and the alpine rose is in full bloom. 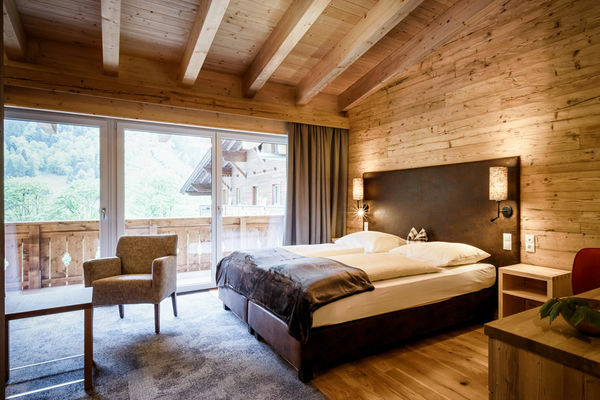 Plan and book your holiday in the nature hotel at the Gross Ahornboden now. 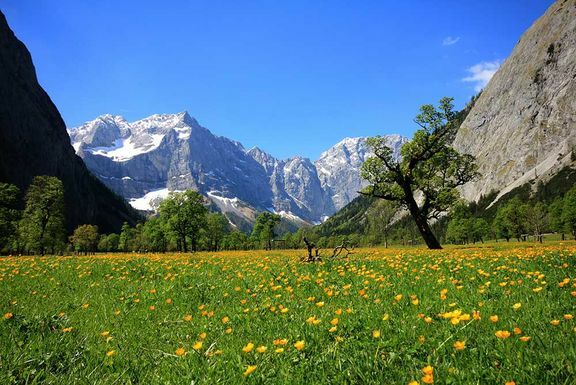 During the legendary guided hikes, we show you the beautiful flora and animal species in the Alpenpark Karwendel. Let's go hiking; we hike 3 times a week with our guests. Immerse yourself in our beautiful nature and let yourself be convinced of our charm and our hospitality.